In the chaos of a team fight, it’s easy to lose focus. Ultimates are being unloaded everywhere, and the sensory overload is enough to sidetrack even the most seasoned players—instead of regrouping to complete the objective, they chase kills off to the side, pulling the team out of formation and giving their opponents an opportunity to strike back. Any advantage that might have been gained is now lost. How does a team return to its senses? For the Houston Outlaws, the answer lies in one little trick. “Texas Hard” may be how the Outlaws want to play, but it’s also an example of a “trigger word”—a in-game mechanism the team has adopted to keep themselves focused in the heat of the battle. 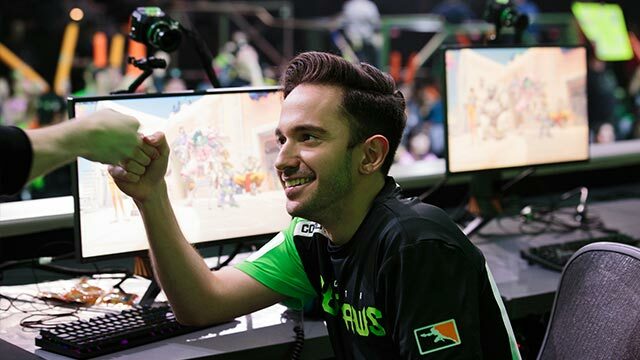 “If you hear that in the middle of a conversation, you’re instantly going to break your focus and listen to it,” explained Houston tank Matt “Coolmatt” Iorio after a 3-1 win over the Los Angeles Valiant on Wednesday. For the Outlaws, “Texas Hard” is a specific memo to regroup—something they’ve badly needed to do in recent weeks. The explosive energy that made the team an early fan favorite among casual viewers was strangely absent, even in wins, and they seemed to be strategically hamstrung by the lack of a top-tier Tracer in their lineup. But against the Valiant, who entered the week with just one loss in Stage 3, those issues hardly mattered. Houston’s coaching staff developed strategies to counter each of LA’s many DPS combinations—although the unexpected debut of Kyle “KSF” Frandanisa on Blizzard World offered a slight wrinkle—and identified positioning and posturing patterns in order to predict their opponents’ movements. The scouting provided a decisive edge against the Valiant’s structured dive. Houston’s preparations have been enhanced by the recent introduction of in-house drills—a benefit of having a stocked roster. Entering Wednesday’s match, the Outlaws were 0-3 on Temple of Anubis in Stage 3, so the map win was a milestone. Later, on control map Nepal, Houston got creative with a Mei pick for Jiri “LiNkzr” Masalin—not a hero he’s known for—on Village to clinch the map as well as the match victory. The bold strategy also was crafted during those in-house scrims. 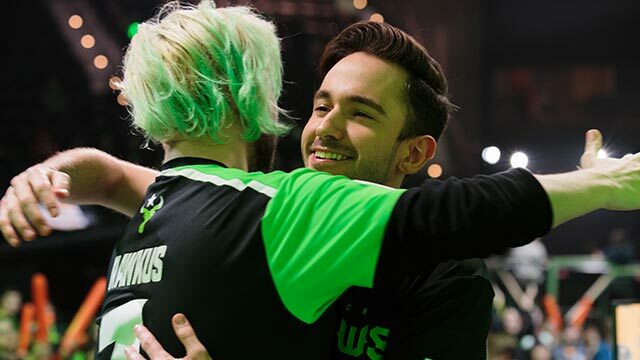 The win gives the Outlaws a surge of confidence when they need it the most, and Coolmatt feels the team is close to returning to their Stage 1 form after a couple of “pretty demoralizing” tiebreaker losses to Philadelphia and New York earlier this stage. Had those gone Houston’s way, the Stage 3 standings would look drastically different. The Stage 3 Finals are also still a possibility, especially after the big win over the Valiant, although Coolmatt calls it a “secondary goal”—a nice bonus en route to solidifying their playoff position. 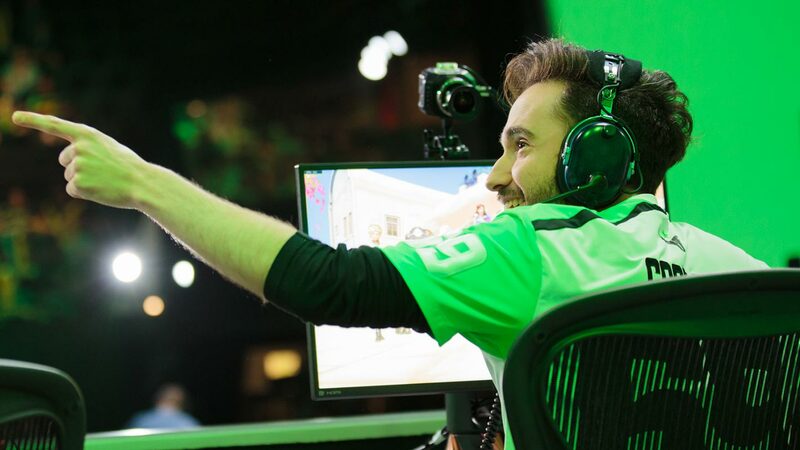 The Outlaws are currently tied with the Valiant for sixth in the overall standings, but are very aware that the five teams occupying third through sixth are separated by just one match win. Houston’s next three opponents—the LA Gladiators, the San Francisco Shock, and the Seoul Dynasty—are all in that mix, with no elbow room to spare. The two teams clash next Wednesday, May 2. Sombra Hack vs. Texas Hard. Who ya got? GGs @LAValiant! We take it 3-1. We busted our back preparing this week and it paid off, but its still not enough. We can't let ourselves believe that any map is a free win. Week 4 continues today at 4 p.m. PDT with a showdown between the LA Gladiators and the London Spitfire. Watch live on Twitch, MLG.com and the MLG app, OverwatchLeague.com, or the official Overwatch League app.